So woah hey, I'm back and stuff. I decided to make a new thread since my other one is super old and most of the links for the pictures are dead. So here we go, I'm pretty much just gonna dump all my drawings here. (Most of these are gonna really big and screen-stretching, so yeah, sorry >_>). I think I'll start with this one, since it shows my improvement over the past two years (pretty much all the time I was gone from VGF). This guy is one of the characters from my comic, The Challengers (which I know I mentioned sometime in my original thread, but I doubt anyone remembers it). Speaking of The Challengers, here's all the main characters in the comic. From left to right: Warpster, Surge, Thorn, Jewel, Hacker, and Trace. 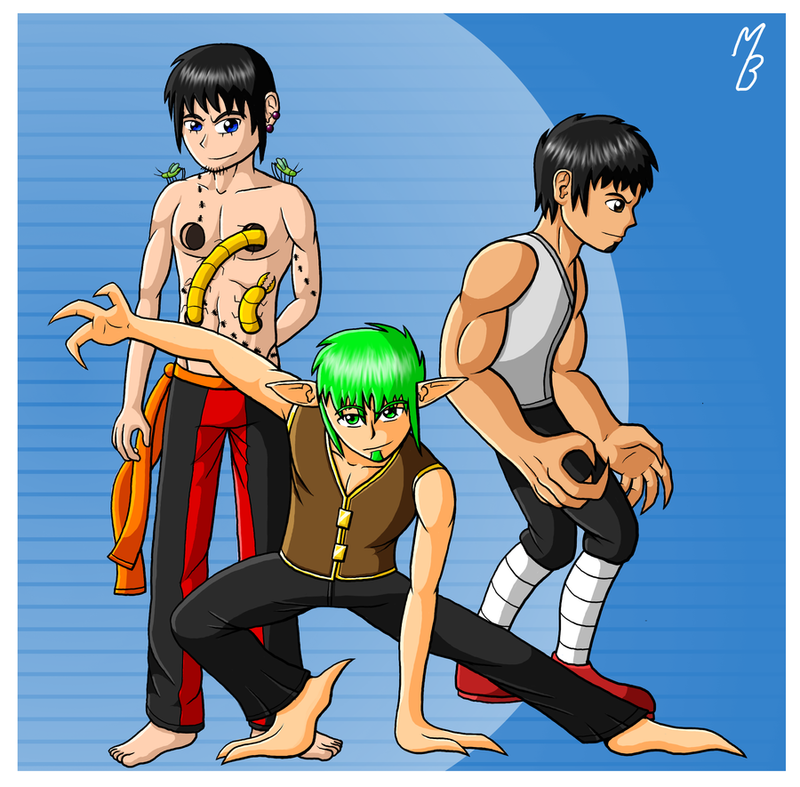 If you want more detailed descriptions of them, check out this picture on DeviantArt. Here's a pic of Thorn. He's like, a mutant dragon guy thing... who doesn't wear a shirt. This here's Jewel, whose design I've updated a bit since the group picture above. So, that’s it for original characters, for now. Onto other stuff. I’m rather proud of this one, and it has an interesting story behind it. See, before I finished middle school, one of my teachers (who still has one of the most memorable classes I’ve had in my whole life) asked me if I could simply draw a picture of him looking “badass“, and I agreed , but then I moved to Colorado and never did it. So 5 years later, after graduating high school, I decided better late than never, and drew it, then emailed it to him, and of course, he loved it. 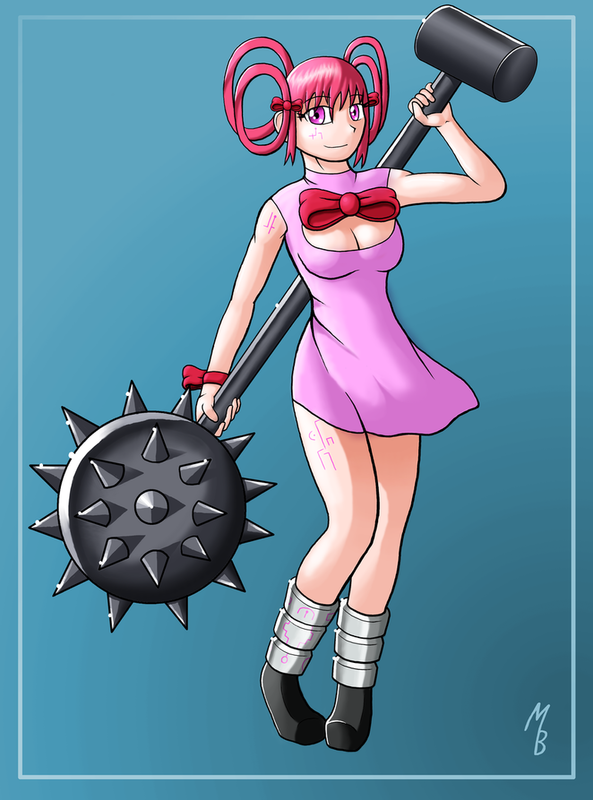 Here’s a few art trades I’ve done of other people’s characters on DeviantArt. The top one was for a friend, the bottom two were from random people. And I’ve still got a few others. 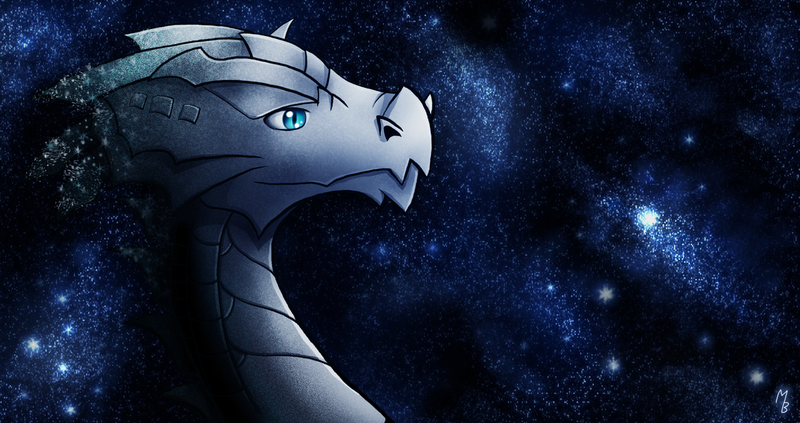 This is of a dragon character I made, named Rezryn. I would like it, if it wasn’t for the eye. It looks like it was just slapped on top of everything. Other than that, I like how the textures and background came out. Anyone here play Mass Effect? If you do, then you’re awesome, if not, then go play it, it’s like one of the best games of this generation. 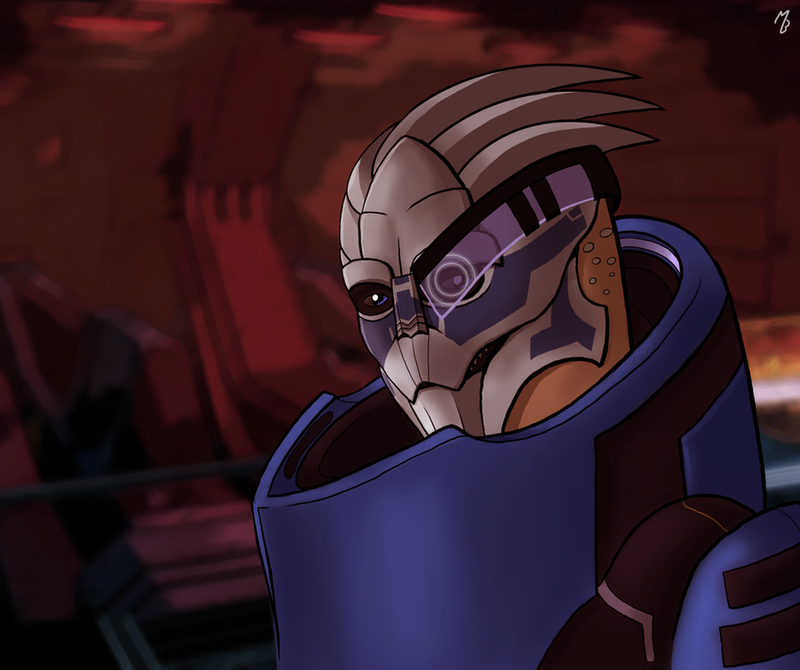 This is Garrus, who happens to my favorite character. 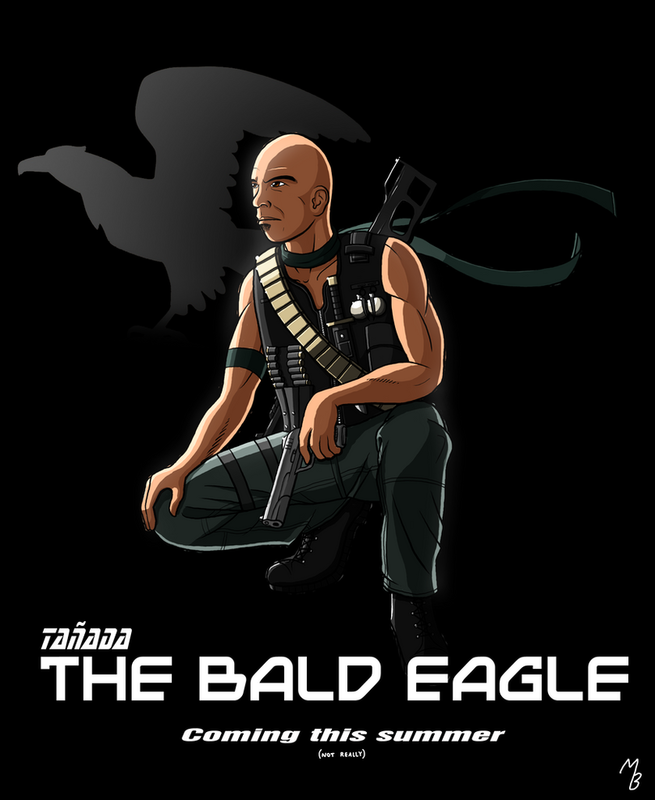 For those who don’t know, he’s part of an alien race that resemble a cross between birds and reptiles… or something. And he’s a freaking BADASS. 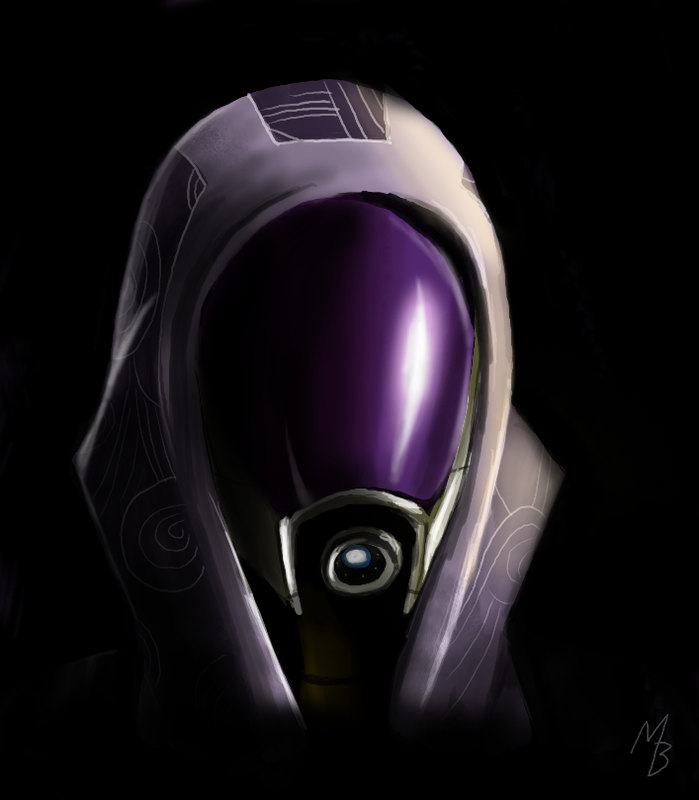 And this is Tali’Zorah, from the same game. Usually, you can slightly see through her helmet in the game, but it looks really opaque here. Along with the black, it makes the picture feel really dark and lifeless, which some people have said is cool, but, eh, wasn’t what I was going for. And for my last one, it’s everyone’s favorite ninja who… shoots ice and stuff. 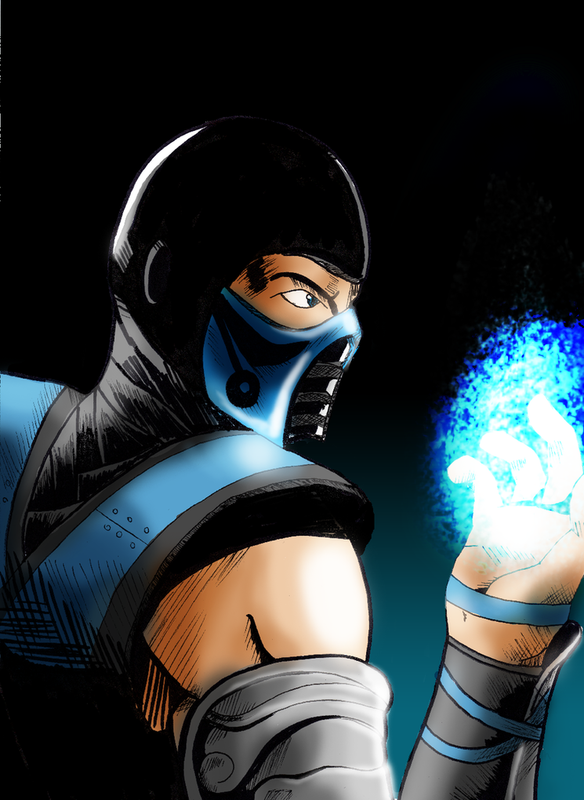 It’s Sub-Zero. Another interesting story behind this one. A friend of mine, who happens to be a professional artist, was reading about the process behind how a comic book is made, and when he found out that many comics are penciled and inked by different people, he asked me to draw him a picture, and he would ink it, just to see what it was like. So that's what we did, and then I scanned and colored it, aaaaand, BAM, here's the final result. So there you go. I'll continue to post here as I finish other projects. Of course, ANY feedback is welcome, and very much appreciated. I'm especially impressed by those last two. You've definitely got a lot of talent. I like looking at your avatar and then looking at these pictures to see your huge amounts of growth. Impressive. Your art's come a long way. Holy snap. Your lines are fantastic. CuccoLady wrote: Holy snap. Your lines are fantastic. XD Thanks. Most of my lineart is done by hand with my tablet, by the way (except the Sub-Zero one, and the "redesigned" picture of Jewel, both of with were inked traditionally), I don't use any Photoshop paths or anything. Yeah, sometimes I get frustrated by thinking I'm not improving as fast as I'd like, but then I look at old drawings like my avatar, and I realize how far I've come. I gotta update my avatar soon here. These pictures are really amazing. 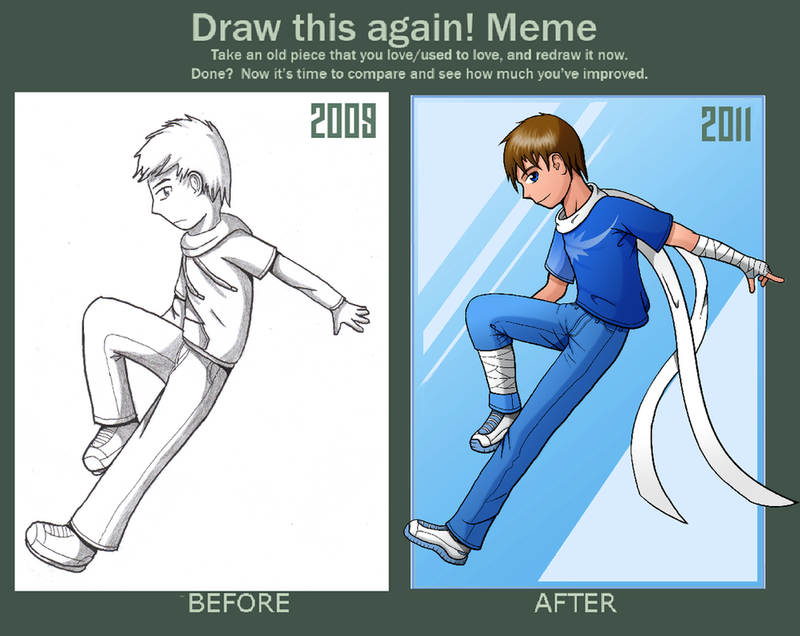 Your art's come a very long way, seeing your avatar and everything. Well done. These are incredible! Great job! I love dragon one, and I don't think the eye looks tacked on at all. Tali'Zorah is very well done. The lighting really works. Oh! And I really love Jewel! The details are fabulous and she looks really polished. Amazing pieces ya got there. I can totally see you going professional with these. What program is your best friend in creating all this? Antisocial wrote: What program is your best friend in creating all this? Photoshop CS3, and sometimes Illustrator for cleaning up scanned lineart. And I use a Bamboo Fun tablet. XD Yeah, exactly what I thought when I saw the other guy's character. I was like, "Ugh, do I really have to draw this...?" Oh wow, Spritedude... those are awesome!!! I especially like Thom and the dragon one!! *gives you marshmallows* Thanks for sharing your art with us once again!! What the heck is going on with this guy? As far as I know, he's like, hollow, and has insects that he controls that live inside him... or something... GAH I don't know, they're not my characters, I just drew them as part of an art trade. You know, I make an offer to draw someone else's characters and they draw mine. I just didn't think the guy who would first take my offer up would have characters that were so... bizarre. Haha, well I really like how you've improved. I doubt I need to explain how, but rest assured I can see it. 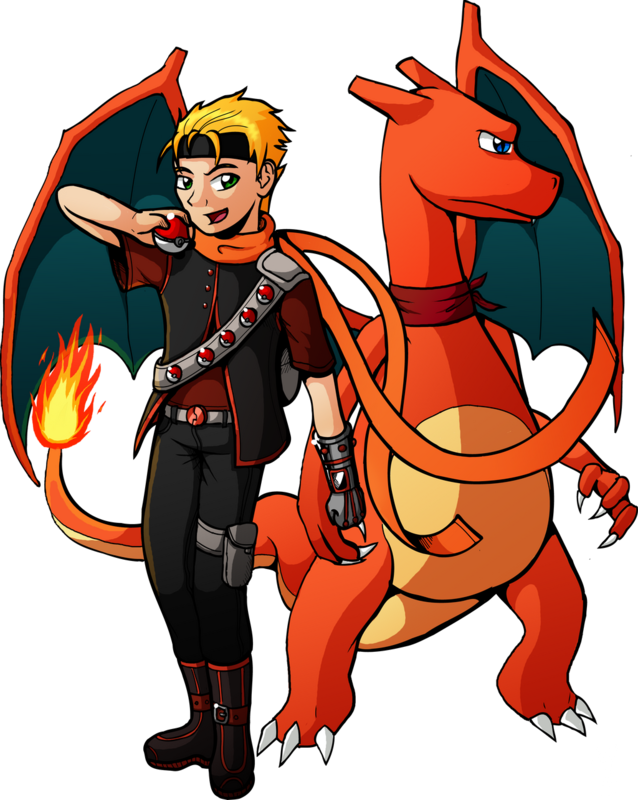 This is my entry for a contest over at DeviantArt, which is to design a Pokemon trainer, along with their main Pokemon. I pretty much just came up with the design as I went along, adding things here and there. I didn't even know what colors I was going to give him until I gave him a Charizard. The glove/gauntlet thing on his left arm is supposed to be like a customized Pokedex or Poketch, which he controls just by moving the fingers on the glove. If you can't tell by now, I like characters with long, flowing scarves. So awesome. He loves his PokeGlove. It's so bad. Pretty nice. Though it looks like the thumb on his right hand is on the wrong side. Valigarmander wrote: Pretty nice. Though it looks like the thumb on his right hand is on the wrong side.